Home / National News / The rift between Saraki and IG Idris turns personal as the Senate President refuses a handshake with the IG at the Armed Forces Remembrance Day celebration. The rift between Saraki and IG Idris turns personal as the Senate President refuses a handshake with the IG at the Armed Forces Remembrance Day celebration. 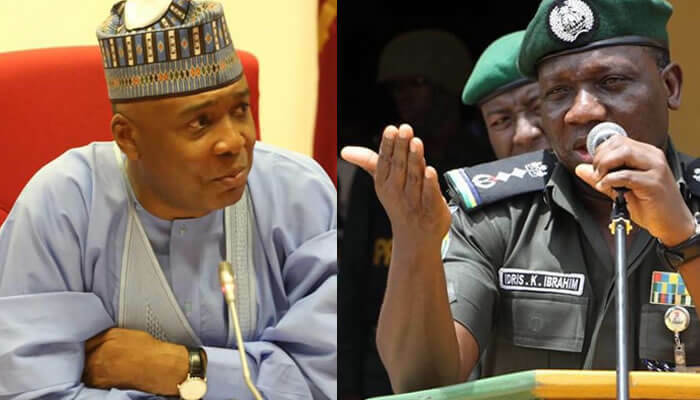 The cold relationship between the Senate President, Bukola Saraki and the Inspector General of Police, Ibrahim Idris,was openly displayed, Tuesday,in Abuja during the Armed Forces Remembrance Day Celebration,with the former refusing to accept handshake extended to him by the police boss. 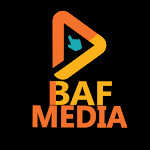 Both were at the event held at the National Arcade, Abuja, to mark the climax of activities of the 2019 Armed Forces Remembrance Day celebration. The police chief,who was standing near the mounted podium at the event, had saluted the Senate President, preparatory to a handshake as has been the practice but instead of walking towards Idris to accept the handshake from him,the Senate President steadily looked at him and walked away to shake the service chiefs who were standing together with the IGP. But the case was different with the Speaker of the House of Representatives, Yakubu Dogara,who had arrived at the occasion not only in company of the Senate President but also took walked to the podium to take salutes at the same time.